There is not much to report yet. The Aero Contest was planned as a counterpart to the Aqua Contest I made together with Maclife magazine. My actual goal is to get Microsoft on board. Several attempts failed by now—due to missing interest or misunderstanding (them), too little time (me) and maybe the bureaucratic machinery the huge company suffers from. I was thinking about curating it together with Steve Ballmer who I recently got to know via Flickr, but the contest has to be backed by old media as well. The project now is postponed. Sooner or later we will get in touch and do great Aero Contest together, I am certain. Forbearance is not acquittance. Thanks for your patience. 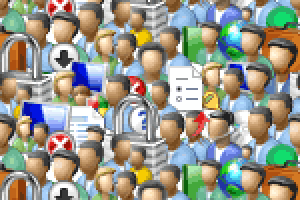 Anyway if you would like to send me some artworks made of Windows Vista or Windows 7 interface elements, please write to contact at johannes-p-osterhoff dot com. P.S. Microsoft, I already have a website ready.